Posted August 4, 2017 by Ellen & filed under Community. 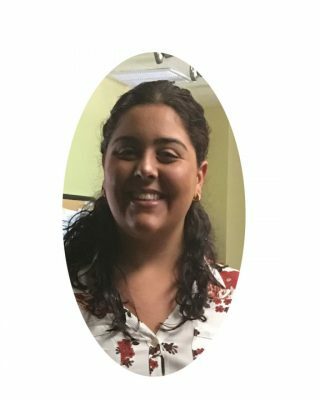 Foliage Design is proud to welcome Adriana to the corporate office. Adriana is our new receptionist, replacing Shelly, who has taken on other duties. Adriana was born in Brooklyn, NY and has lived in Florida since 2005. She is a part of a large Italian family; being the youngest of 6 she is considered to be a big family person. Adriana is also a dog lover, sharing her home with a German Shepherd and a Staffordshire Terrier. She graduated from Valencia College with her Associates Degree. and is looking to further her education with a B.S. in Human Resource Management. She likes outdoor activities, which include hiking, bike riding, kayaking and taking her fur babies to the dog park. Adriana enjoys meeting new people. She is excited to be a part of the FDS family and is looking forward to what opportunities the future holds! Welcome to Adriana, and congratulations to Shelly for taking on a new role in the Corporate Office!